By mid-summer it was evident the recovery was in jeopardy, that the slowdown in economic activity could not be entirely explained by temporary factors, that unemployment would remain unacceptably high, and that the slow motion train wreck that is the European experiment would be resolved only in the aftermath of financial chaos. The Fed had the opportunity to get ahead of the curve. They chose not to. To be sure, they offered some half-hearted support to the existing policy stance. But this amounts to bring a knife to a gunfight. At this point, we are faced with mounting recession forecasts. The Economic Cycle Research Institute publicly announced their recession call last week, confidently expecting to extend their 3-0 forecasting record. Nouriel Roubini already offered up his recession call. Yesterday, Goldman Sachs placed 40% odds on recession in 2012. So far, as many economists point out, the worst readings on the economy come from sentiment measures rather than hard numbers on economic activity. The pessimism among consumers and businesses alike may be reactions to political uncertainty and the volatility in the stock market, while the nuts-and-bolts data on the U.S. economy look better. In the latest round of data, August construction spending surprisingly rose 1.4% when a 0.4% drop was expected. September factory activity beat forecasts as well. The Institute for Supply Management said the sector’s expansion strengthened for the first time since June. The data point to real gross domestic product growing at an annual rate above 2% in the third quarter, more than double the pace of the first half. Equities rebounded after the S&P 500 fell below 1,090.89, the closing level required to give the index a 20 percent slump from the three-year high reached on April 29. Stocks rose after the Financial Times quoted Olli Rehn, European commissioner for economic affairs, as saying there is an “increasingly shared view” that the region needs a coordinated approach to halt the sovereign debt crisis. After U.S. markets closed, Belgian Prime Minister Yves Leterme said a “bad bank” to hold Dexia SA (DEXB)’s troubled assets will be set up. The Chinese government will act to cushion the downside for their property sector, but what will be the consequences of even a short-term slowdown for a global economy already on the downside? Put aside the non-recessionary real economy data and instead turn to the financial markets for hints. There the signals are decidedly more pessimistic. Equities are heading into bear market territory, interest rates are collapsing, spreads between Treasuries and corporate debt are widening, commodity prices are in virtual free-fall, and the TED spread, while still well short of the highs reached during the financial crisis, have more than doubled from 15bp in the spring to 38bp now. The downside risk is of course that these financial spillovers–or conceivably some other shock, perhaps greater fiscal tightening in 2012 than we now anticipate–prove sufficient to push the US economy into recession; both a quantitative model and our subjective assessment put recession risk in the neighborhood of 40% at this point. For now, we still think the base case is that the US economy avoids this outcome. The cyclical sectors of the economy are already quite depressed–in particular, homebuilding is barely above the depreciation rate of housing–so downside looks more limited. It’s important to understand that recession doesn’t mean a bad economy – we’ve had that for years now. It means an economy that keeps worsening, because it’s locked into a vicious cycle. It means that the jobless rate, already above 9%, will go much higher, and the federal budget deficit, already above a trillion dollars, will soar. Here’s what ECRI’s recession call really says: if you think this is a bad economy, you haven’t seen anything yet. And that has profound implications for both Main Street and Wall Street. The Committee will continue to closely monitor economic developments and is prepared to take further action as appropriate to promote a stronger economic recovery in a context of price stability. 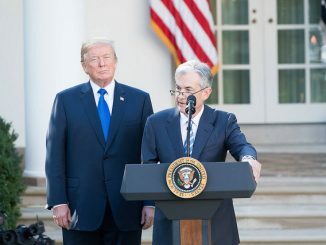 Republicans also pressed the Fed chairman on the risk that the central bank could be stirring inflation with its efforts to pump money into the financial system to bring down interest rates. Mr. Bernanke dismissed such worries. He said a spurt in consumer prices earlier this year was already receding and that unemployment was a bigger threat. “Right now, frankly, we’re much further away from full employment than we are from price stability,” he said. With that comment was a hint: The Fed might not be hurrying to do more to help the economy right now, but it is still leaning in that direction. Monetary policy can be a powerful tool, but it is not a panacea for the problems currently faced by the U.S. economy. Fostering healthy growth and job creation is a shared responsibility of all economic policymakers, in close cooperation with the private sector. Fiscal policy is of critical importance, as I have noted today, but a wide range of other policies–pertaining to labor markets, housing, trade, taxation, and regulation, for example–also have important roles to play. For our part, we at the Federal Reserve will continue to work to help create an environment that provides the greatest possible economic opportunity for all Americans. How different is this view from that of Dallas Federal Reserve President Richard Fisher in defending his last dissent? One other factor gave me pause and that was, and remains, the moral hazard of being too accommodative. For years, I have been arguing that monetary policy cannot solve the problem of substandard economic performance unless it is complemented by fiscal policy and regulatory reform that encourages the private sector to put to work the affordable and abundant liquidity we are able to create as the nation’s monetary authority. These actions are not within the Fed’s purview; they are the business of Congress and the president. I fail to see the wisdom in neglecting policy options simply because Congress is falling down on the job. It seems that Bernanke is more center-right of Fed policymakers than center-left. Which suggests that he will need to be dragged kicking and screaming into another round of asset purchases. And, unfortunately, we will first need to see more citizens added to the ranks of the unemployed for that to happen. Perhaps events will evolve in such away that the current round of pessimism will prove unfounded. But even if we avoid recession, the slow growth and constant threat of recession serve as a reminder that policymakers have fallen far short of doing what is needed to lift the economy from the zero bound. And, worse yet, neither monetary nor fiscal authorities appear particularly worried about achieving such a goal.